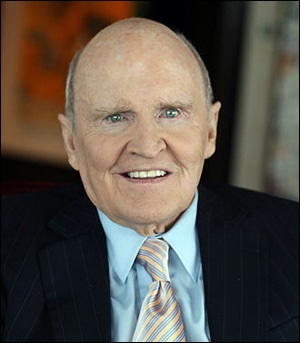 Jack Welch, Former CEO of General Electric Co.
General Electric Co. (GE) will be unceremoniously sacked from the Dow Jones Industrial Average on June 26, it was announced yesterday by the S&P Dow Jones Indices folks. GE was one of the original 12 companies in the index when it was created in 1896. The Dow now consists of 30 companies and GE has been in the index continuously since 1907. Curiously, GE – an industrial giant that makes highly sophisticated commercial jet engines for Boeing and turbines for power plants among numerous other lines of business – will be replaced in the Dow by a retail drugstore chain, Walgreens Boots Alliance (WBA). GE’s exit from the Dow has a lot of the same hallmarks as the exit of Citigroup from the Dow. Citigroup got the same one-week notice that GE is getting. The announcement came on June 1, 2009 and Citigroup was booted exactly one week later on June 8, 2009. The stock of Citigroup was cratering at the time, similar to how the stock of General Electric has been doing over the past year. When Citigroup was yanked from the Dow in 2009, its shares had lost 90 percent of their value over a period of two years, bottoming out at 97 cents on March 5, 2009 in the midst of the financial crisis. In January of 2017, GE was trading at $30. It closed yesterday at $12.95 – a decline of 57 percent in a year and a half. Both GE and Citigroup had larger-than-life CEOs when their share prices peaked whose reputations for keen business acumen were built more on expensive public relations campaigns than reality. Both men received obscene pay packages from their Boards as they loaded up their companies with large amounts of financial risk. Although Jeffrey Immelt was also a long-tenured CEO at GE, serving from 2001 to June of last year, the larger-than-life CEO at GE we’re referring to is Jack Welch, who sat at the helm of the company from 1981 to 2001. The bloom came off the rose for Jack Welch when, shortly after his retirement, his wife Jane made public their divorce proceedings. The documents were widely reported in the media, showing that GE was paying for its retired CEO the following: an apartment for the couple on Central Park West; membership fees at five country clubs; staff at four homes up and down the East Coast; lifetime use of a Boeing 737 corporate jet; charge accounts at florists and an expensive New York restaurant; and free tickets to sports events. Forbes put Welch’s retirement package at $417 million. 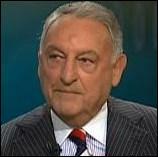 When Weill stepped down as CEO at Citigroup in 2003, he had received over $1 billion in compensation. Weill wasted no time turning a big chunk of his shares into cold, hard cash. The very day after he handed over the reins as CEO to corporate lawyer Chuck Prince (the man who had planned Weill’s birthday bashes for years), the Citigroup Board of Directors permitted Weill to sell back to the corporation 5.6 million shares of his stock for $264 million. The Board negotiated the price at $47.14 for all of Weill’s shares, eliminating Weill’s risk that this big share sale would drive down the price of his stock. After Weill’s exit, regulators eventually discovered that the company had hid subprime debt off its balance sheet for years and was drowning in toxic debt. Citigroup received the largest taxpayer bailout in U.S. history during the financial crash. Citigroup’s stock has never recovered to anywhere near the price that Weill’s generous Board negotiated for him. Citigroup opened this morning at $67.72. Adjusted for the 1 for 10 reverse stock split the company did on May 9, 2011, that equates to a $6.78 share price. That’s 86 percent lower than Weill got for his shares 15 years ago. Both Citigroup and GE raise critical questions about how corporate Boards of Directors are policing CEO compensation and whether these Boards are competent to serve as fiduciaries for shareholder interests. Editor’s Disclosure: Pam Martens owns 100 shares of GE in her IRA.